How Do You Know When You’ve Completed A Game? When I was asked this question it did make me think. I don’t have a definite answer to this, as with me it all depends on the game. Before trophies and achievements were unleashed to the world, which gave games more longevity, I was quite content with just playing a game and enjoying it. 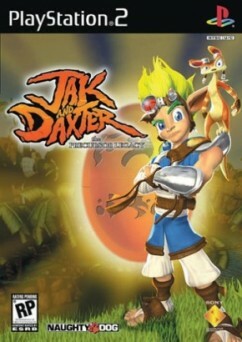 Games like Jak and Daxter, Ratchet and Clank on the PS2 were just a couple of games where I could just sit and enjoy them for what they were. Whereas games like Final Fantasy are at times a hard slog and required you to put in around 30 hours minimum to complete. You’ve got side quests, extra weapons and spells to find etc and some people really enjoy doing this. But I prefer to get to the end of the story, and then move onto the next game. I was quite excited when I first starting reading about Microsoft’s Xbox Kinect. A motion controller gaming system without the actual controller sounded like futuristic stuff and ever since it was first announced to the world as Project Natal, it was something I just had to have, it really came across as actual future technology that until then you’d only seen in sci-fi movies. I was excited when I did finally got my hands on Kinect after we’d already seen a Xbox Kinect/Project Natal Preview, even more so through the setup as it felt strange not to be using a controller apart from my very own hands to lead the way. 2011 looks to be a massive year for games following on from 2010’s impressive performance. New hardware such as Nintendos 3DS and Sony’s newly announced NGP is already making my mouth water. But what about the games? Well, where to start. 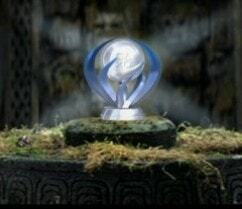 Everybody’s list of their top 5 games for 2011 is going to be different. If they weren’t the world would be a dull place. So I have a look around to see what tickles my fancy for the year ahead. So why not check out my top 5 list below to see which games I’m most looking forward to getting my hands on in 2011. Yet another Final Fantasy makes its way onto Nintendo’s handheld. The last one I played was Final Fantasy III which was a couple of years ago now and I really enjoyed it. It only took a few years to finally get released in Europe, but it was worth the wait. 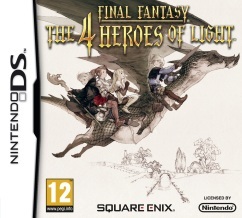 So with Final Fantasy: The 4 Heroes of Light, I was expecting more or less the same kind of game with a few minor changes, and I was right. The story sees the young hero Brandt who has just turned 14 and has to go and see the King before he is seen as an adult. When he arrives, the princess is missing and the King asks Brandt to save her from the Witch of the North. Of course saving the princess is just the start of Brandt’s journey, and he is joined by three other heroes who must find a way to get along and save the world. Has A Redesign Changed Your Attitude To A Beloved Video Game Character? I personally feel that characters in games are a lot more important these days than they used to be. 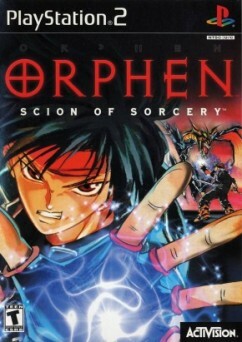 Some of the best games out there are character driven games with more and more of them becoming more like interactive films, where players like to connect with the hero/heroine of the game. There are some games like Mario where he hasn’t really changed all that much over 25 years. 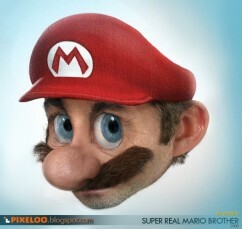 He’s still a short, fat Italian plumber that we all love and who gets to save the princess. But what if he changed his image completely and became photorealistic? 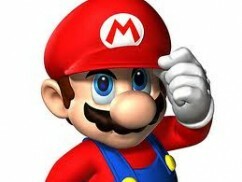 Nintendo’s Mario Celebrates His 25th Birthday – See How He’s Changed Over The Years! On the 13th September 1985, a little game known as Super Mario Bros was released in Japan. Who knew that 25 years later Mario would be one of the most popular characters in the history of games. Time does fly when you’re having fun! You can see just how many faces Mario has had when over the years and just how many games there have been by heading over to the Evolution of Mario page. The original Super Mario Bros sold over 40 million copies with the series selling over 240 million games worldwide to date, which makes it the best selling game series ever. It doesn’t come as a surprise as most of the Mario games are absolute classics. This is a tricky one. I can’t remember all the bad games that I’ve played in my time but there are a few that spring to mind. So why these three? Well mainly down to the shocking control system, being riddled with bugs and hair ripping annoying sounds. I’m a big fan of the Tomb Raider and Spyro games and it’s just a shame that some of the worst games I’ve ever played are from a couple of franchises that I love. 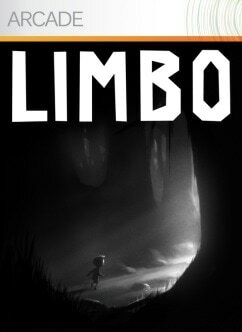 Ever since I first saw images of Limbo, I just had to get my hands on the game….and by that I mean get this game downloaded onto my Xbox 360. I know this game is a puzzle game, but it seemed completely original in every way. The game is all about a boy trying to find what I assume is his sister. The game starts with you waking up in a dream like world with no colour or music. Just complete desolation. You will meet other living things along the way, but they want to kill you and you have to kill them to progress. For instance, the spider puzzles are some of the best of the game. It’s too long to wait for Harry Potter and the Deathly Hallows to be released for my Harry Potter fix, so what better way to pass the time than the young wizards step into the LEGO world. Travellers Tales have again come up with another film franchise to turn into LEGO and I did think that this could be one too many, and it would be too similar to previous games like Lego Indiana Jones, Star Wars and Batman. 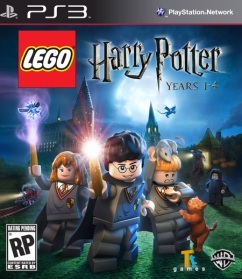 But I found LEGO Harry Potter to be the best instalment of the LEGO games so far even though it’s still the same formula as previous games. The game follows the first 4 films which will obviously lead to the final 3 films being released at a later date, possibly near the end of 2011 after Part 2 of the Deathly Hallows movie has been released. As with previous titles, there are some brilliant funny little cutscenes throughout the game and there’s no shortage of them this time around.